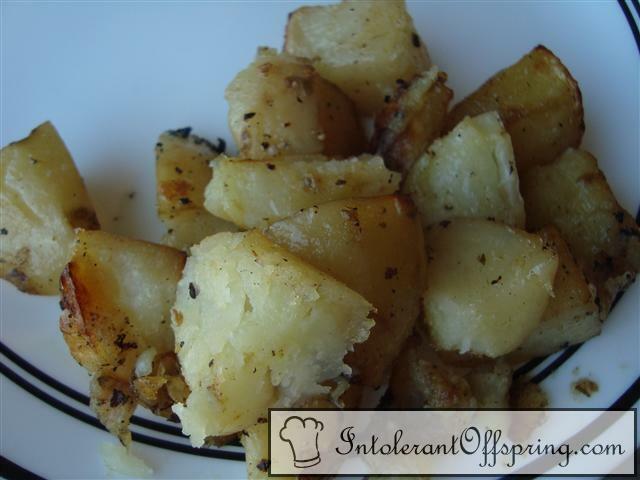 Place the cubed potatoes, water, lemon juice, and oil in a 12x18" baking dish or roasting pan. Season with oregano, salt, pepper, and garlic. Roast at 425, uncovered, until potatoes are brown and the water has evaporated, about 60-90 minutes. Stir the potatoes every 30 minutes as they bake. Stir in the parsley and serve.